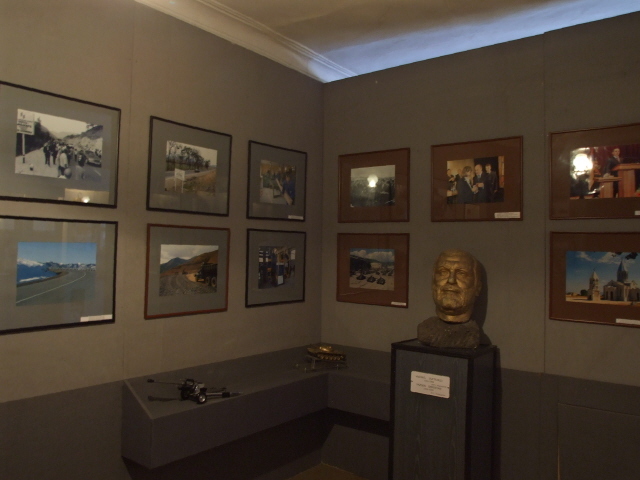 A small museum in Stepanakert, the capital of Nagorno-Karabakh, about local history – including the Karabakh war. More background info: see under Nagorno-Karabakh. 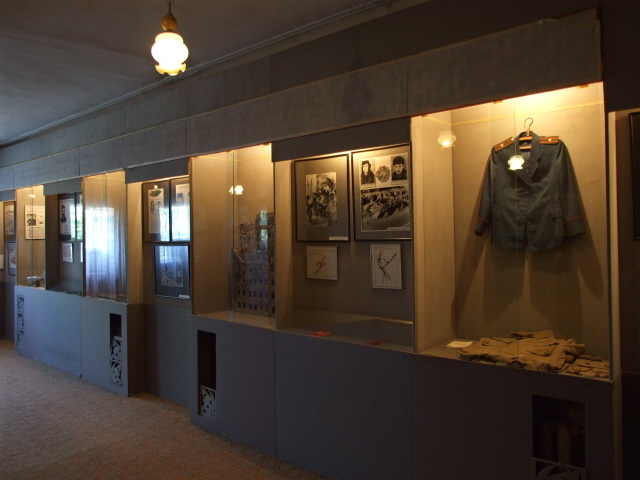 What there is to see: when I stayed in Stepanakert I wanted to see this museum because I had read that it had many interesting objects relating to the Nagorno-Karabakh war – and because you allegedly could get a free guided tour in English there. The latter is indeed the case – a surprisingly young and professional lady greeted me in very good English when I first went there. But unfortunately she had to inform me that because of a power cut, we couldn't go on the tour, or indeed even enter the museum. So I had to come back the next day. Never mind. And not their fault, of course. First there's some geology, anthropology and culture. 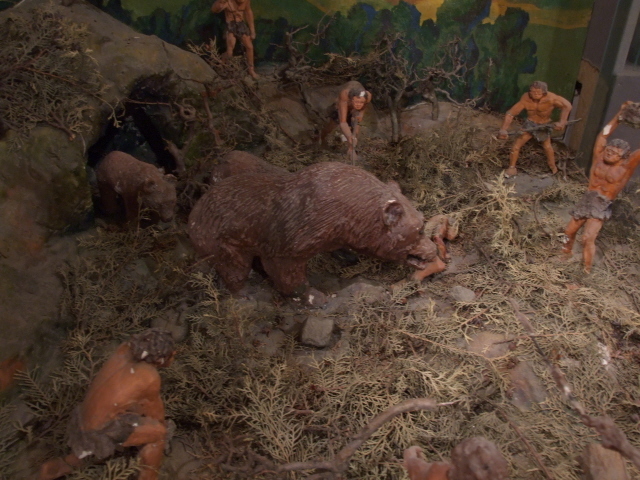 Some rather stuffy, musty diorama displays of Neanderthals hunting wild boar and bears have a very old-school Soviet-regional-museum feel, but can potentially at least be regarded as endearing. It goes on in a rather tedious fashion, with artefacts like coins, vases, books, musical instruments, a couple of fine khatchkars, and the like. But the dark tourist's real interest isn't aroused until the tour gets to the communist era. 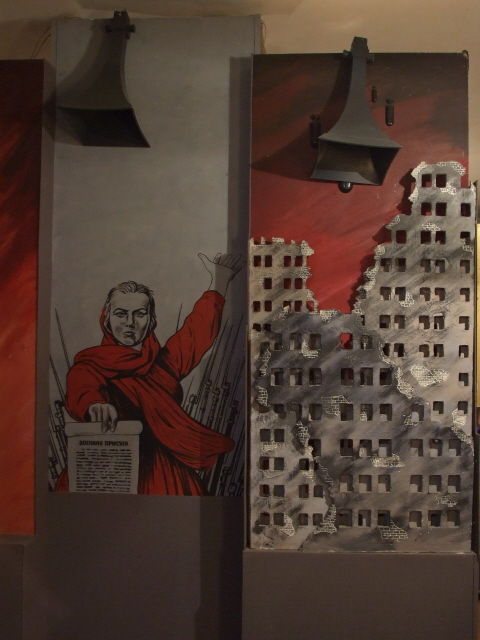 Some Lenin-related objects set the scene, soon after a whole section is devoted to WWII, or rather: the "Great Patriotic War", as it is known in all former Soviet countries. 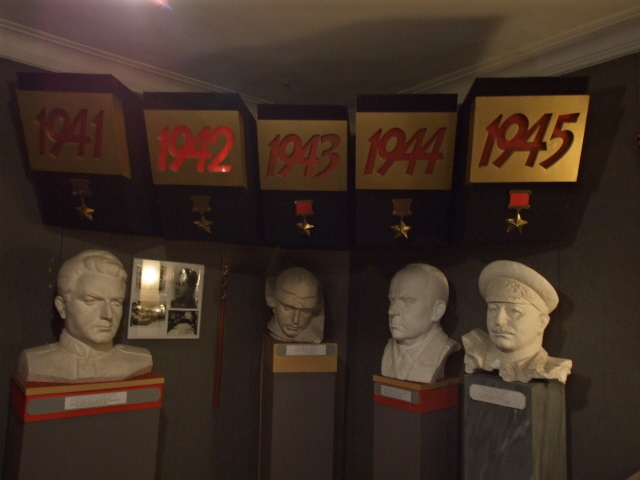 It's a bit dull, just like in most such museums in the former Soviet Union – all busts of heavily decorated hero generals and flags and other such rather uninteresting pieces. And all the while the guide, despite her initially good English, rattles through her memorized text rather mechanically. So it's not so easy to maintain or feign interest. Finally, you get to the Karabakh war so things should get a bit more captivating. Compared to the Museum of Fallen Soldiers, however, the artefacts here are, well, rather second rate. There are a couple of rifles, uniforms and such objects. Otherwise it's all photos, texts and charts … and again more busts of "heroes". In this case e.g. of Monte Melkonian, an ex-US citizen and Diaspora Armenian who acted as one of the military commanders on the Karabakh side. He had earned much of his militia experience in Lebanon, and in other parts of the world his name is associated with somewhat less heroic deeds, allegedly including terrorism; for which he was imprisoned for a few years in France. 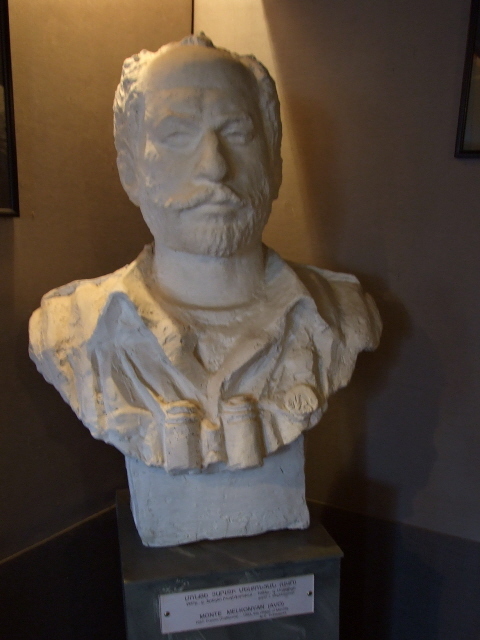 Another bust is of Vazgen Sarkisyan, an Armenian military commander in Karabakh who later became defence secretary, and then prime minister, in Armenia and was assassinated in 1999 in a shooting attack on the Armenian parliament. Location: right in the centre of Nagorno-Karabakh's capital city Stepanakert, just off the focal point of Shahumian Hraparak roundabout to the east at 4 Davit Sasountsi Poghots. Details: centrally located and thus easy to find – from the bottom end of the Azatamartikneri Poghota main boulevard at the Shahumian Hraparak roundabout just head east. 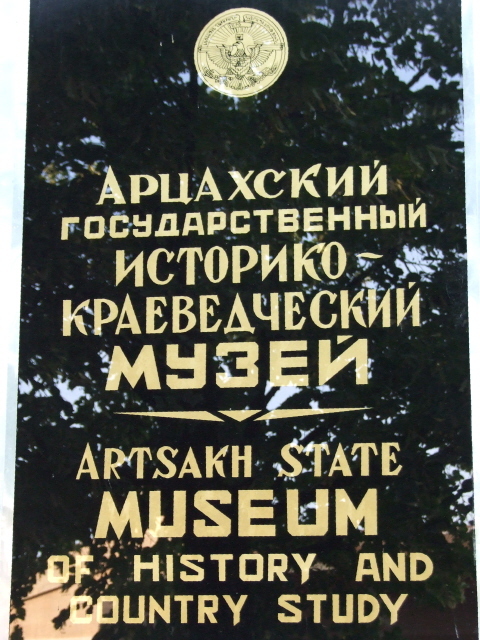 The museum is the first, grand(ish) building to the right, opposite a modern, disproportionately flashy Russian restaurant. There's a sign by the entrance in Russian and English, so it really can't be missed. 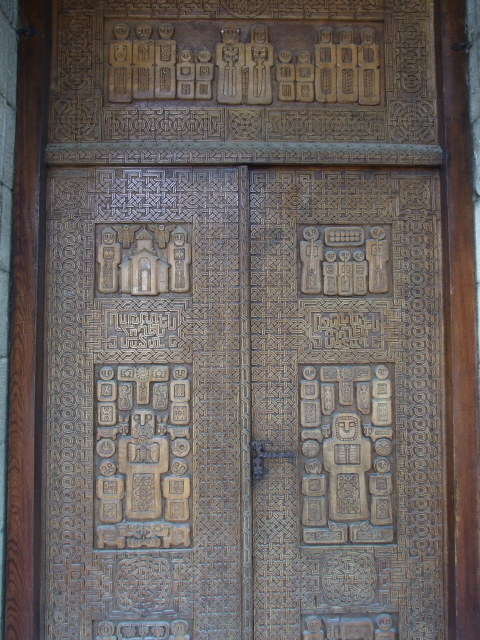 Opening times: Tuesdays to Sundays 9 a.m. to 5 p.m. Admission free – also free is the guided tour in English offered on arrival, which you should take up to get something out of this place. 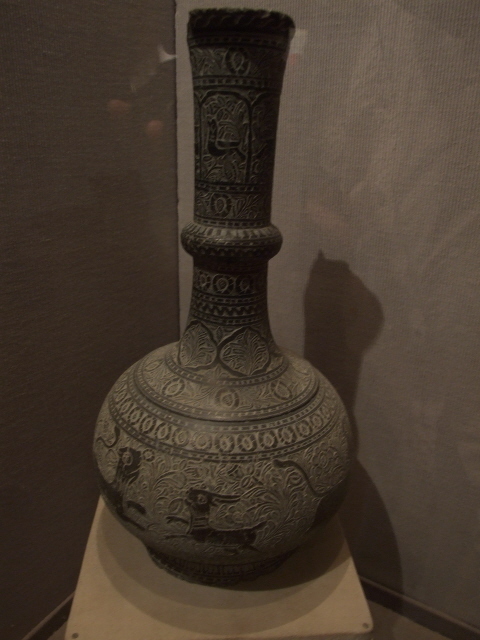 Even if you can read Russian well, much of the significance of the various artefacts would be lost on you without further explanation. Time required: not long – about half an hour. Combinations with other dark destinations: see Stepanakert, Nagorno-Karabakh. 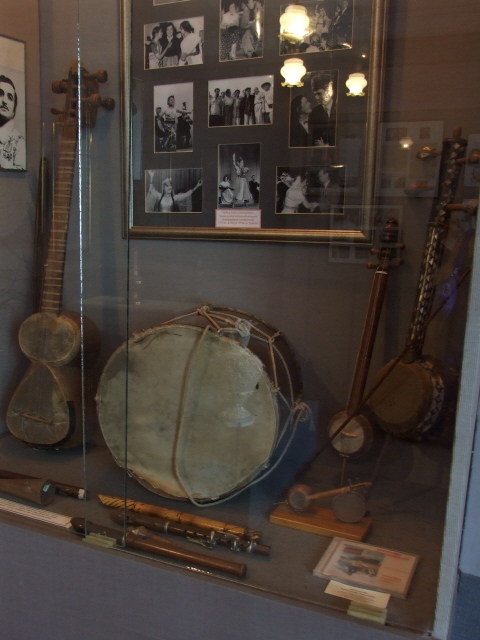 Combinations with non-dark destinations: the museum itself can be regarded as one of the very few mainstream "sights" in town – see under Stepanakert and Nagorno-Karabakh for a few further suggestions.